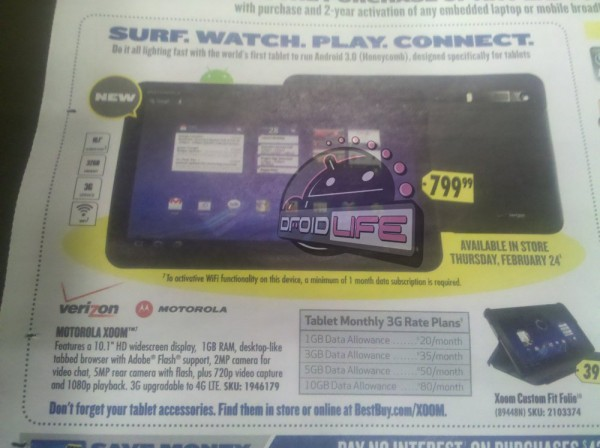 As rumored, Motorola XOOM is indeed going to cost $799 and will require a 1-month data package to unlock WiFi. February 24th remains the go-live date. Anyone still up for picking it up? Oh, and the same spelling errors are still present (/sigh). 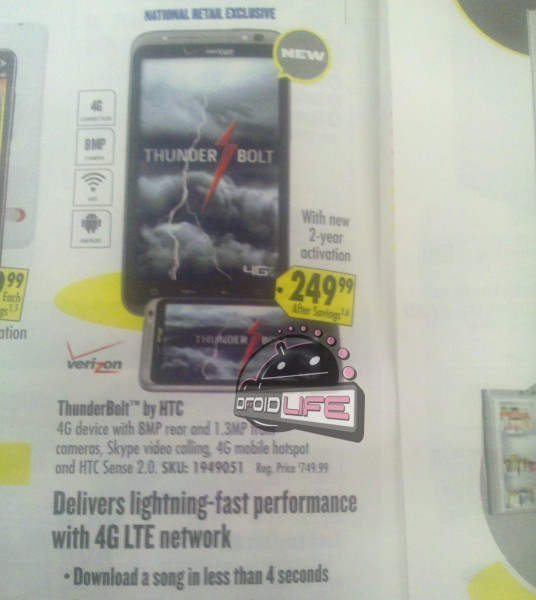 HTC Thunderbolt's regular, off-contract price is also confirmed at $749.99, just like we told you yesterday. Bummer. 2-year contract price is still $249.99. 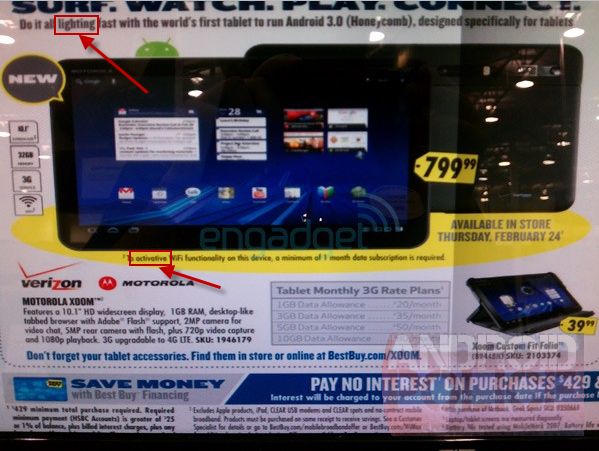 No details on the date in the ad, but February 24th is still the latest word. The whole gadget business is starting off a bit on the expensive side this year, isn't it?